Exide’s Select Performance Group battery comes with the power and muscle for each unique application: short haul, long haul, agriculture, fleets, construction and industrial equipment. 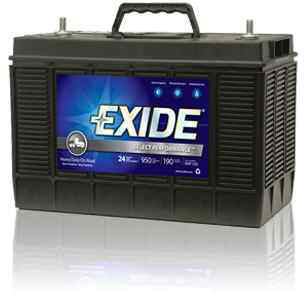 XHP batteries have 190 minutes RC for outstanding run time when powering anything from lift gates to DVD players. Full flood epoxy anchor bonding for premium protection against vibration failures. 950 CCA for exceptional starting power in the most extreme conditions. Suitcase handle, with convenient grip for easy installation, folds down for a compact fit.